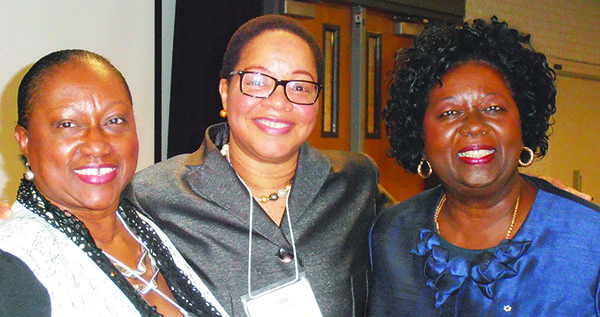 The project leaders are (from left-right): Dauna Jones-Simmonds, Dr. Denise ONeil Green and Dr. Jean Augustine. Photo by Lincoln Depradine. They are using the name, “100 Accomplished Black Canadian Women”, as the working title of the project. But, at an inaugural meeting last Thursday at Ryerson University, one participant suggested that the book’s title should be, “Women Who Dared’’. Many other suggestions were presented, and questioned also posed, to project leaders Dr. Jean Augustine, Ontario Fairness Commissioner and former Liberal MP; Dr Denise O’Neil Green, Assistant Vice President and Vice Provost for Equity, Diversity and Inclusion at Ryerson University; and Dauna Jones-Simmonds, former banker and now chairperson of the board of directors for ACCES Employment. Nominations are open to women nationwide and could be submitted to 100abcwomen@gmail.com. Feel free to comment below*.